A cricketer’s career typically fits into a short space of time, undoubtedly tied to their age. In a typical timeline of an International cricketer’s career, a player will make their domestic debut in their late teens, with an International call-up coming in their mid 20’s, followed by a retirement in their mid-to-late 30’s. That lead to an interesting question being raised- just who are the best players in each age group in world cricket currently? Here at SportingHQ, we have created a list of the best cricketers in the world by their ages. We’ve chosen the ages of 18 to 37 as they not only fill a twenty year age gap, but they also represent a realistic age bracket for players to be making an impact on International cricket. Sandeep Lamichhane starts us off as the youngest player of our list, having already represented his home country of Nepal and competed in the IPL, BBL and CPL competitions at the modest age of 18. Despite his lack of experience, the enigmatic leg-spinner has taken the world T20 circuit by storm since his debut last year, attracting the eyes of the Melbourne Stars, who he represented in the BBL this season, claiming eight wickets at an economy rate of seven in his first four matches. Lamichhane looks to have a promising career ahead of him, in both domestic T20 and in International cricket for Nepal. A cricketing prodigy who has already been compared to the likes of Sachin Tendulkar and Virat Kohli at just 19, Prithvi Shaw has broken records in his journey to Test cricket. 2018 was a huge year for Shaw- he became the youngest Indian player since Tendulkar to score a test century on debut, competed in the IPL for the first time and lead India to success in the Under 19 World Cup as captain. Unfortunately, an ankle injury left him ruled out of the test series against Australia, however, expect the opening batsmen’s meteoric rise to continue. Shaw comes out ahead of his Under 19 teammate Shubman Gill, who was the player of the tournament at last year’s Under-19 World Cup, purely due to the fact that he has already managed to play Test cricket and score a century. The Afghanistan legspinner and T20 wizard was a certain pick for the 20-year-old slot, having gained a crazy amount of experience in his short career, which is where he trumps fellow leg-spinner, Shadab Khan. Khan debuted for his country at just 17 and has already played in 52 ODIs and 149 T20s for franchises all across the world, including the BBL’s Adelaide Strikers. Last year, he was recruited by Sunrisers Hyderabad in the IPL for US$1.4 million, a price tag which is backed by his statistics, having taken 221 T20 wickets at an economy of just 6. With Afghanistan’s recent promotion as a test playing nation, Khan’s career should continue to blossom as he shows the world his talent with the red ball. Another young player whose rise to fortune began with T20 cricket is Rishabh Pant, our leading 21-year-old. After a strong string of performances in the IPL, including a 97 and a 128 for the Delhi Daredevils, the aggressive wicketkeeper-batsman was selected to play for India in 2017, becoming the youngest player for India to debut in a T20I match at the age of 19 years 120 days. Since then he hasn’t looked back, making his test debut last year and becoming the first wicket-keeper for India to score a century in a Test match in Australia. Pant’s success was rewarded with being named the ICC Emerging Player of the Year at the 2018 ICC Awards, in what will likely be the first of many awards. Yet another promising South African bowler, Lungi Ngidi has made quite the impression in his first four test matches for his country. Initially a T20 prospect, Ngidi was selected to make his test debut last year against India, and he promptly began his Test career in fine fashion, winning the man-of-the-match award thanks to six second-innings wickets. Ngidi narrowly edges out West Indian talent Alzarri Joseph and Australian Jhye Richardson by the fact that he has been able to break into and consistently perform alongside one of the Test Cricket’s best bowling attacks, averaging an unbelievable 19.53 with the ball. 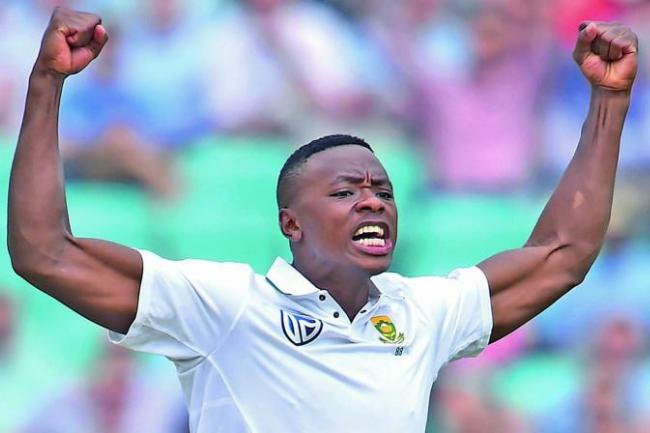 As the current top-ranked Test bowler on the ICC rankings, Kagiso Rabada is certainly a fitting selection for the best 23-year-old cricketer on our list. The South African fast bowler is consistently quick, regularly reaching speeds in the 140-150kph range, and has arguably become South Africa’s most viable wicket-taking option in all formats of the game since his international debut in 2014. In 2018, Wisden named him the best young player in the world, and in July he became the youngest bowler to take 150 wickets in Tests at 23 years and 50 days, a miraculous feat for the young paceman, who looks set to terrorise batsmen for years to come. Markram becomes the second South African to join this list as our 24-year-old representative, a talented batsman who currently sits in the Top 10 of the ICC Rankings. Markram made a fast start to his international career, becoming the first South Africa player to score two centuries in his first three Tests in December 2017. In February last year, Markram became the second youngest player to captain South Africa in ODI at just 23, an acknowledgement that helps Markram ahead of fellow 24-year-old Pakistani Babar Azam, who is currently the world’s best T20 batsman. With an average of 45.2 in his 14 tests so far, Markram looks to be a player that South Africa will build their Test top order around for years to come. The second Australian on this list is Pat Cummins in the 25-year-old position. Making his test debut at just 18 and claiming seven wickets in his first match, the early stages of Cummins’ career were riddled by injuries, meaning he would not make another test appearance for six years. However, since his return to test cricket, Cummins has proved himself to be not just a terrific fast bowler, but also a talented lower-order batsman, shown by his 63 in the recent series against India. Cummins is the second-ranked Test bowler and seventh-ranked Test all-rounder in the world according to the ICC rankings, and he still has a vital role to play for Australia in the future. Cummins narrowly beats out Jasprit Bumrah purely on his extra experience and added all-round talent with bat and ball. With his powerful striking and serviceable glovework, Quinton de Kock is a deserving holder of the 26-year-old position on our list. With comparisons to the likes of Adam Gilchrist, De Kock has made a big impact for South Africa since his International debut in 2012, in particular in ODI cricket. In February 2017, he became the fastest ever player to reach 12 ODI centuries and is one of only four players to have scored three one-day hundreds consecutively. In 2018, he also became the fastest wicketkeeper to reach 150 dismissals, proving his worth as a wicketkeeper too. At 26, De Kock still has plenty of cricket ahead of him. The world’s number one all-rounder according to the ICC rankings beats out England’s Ben Stokes as the best 27-year-old cricketer, thanks to the West Indian’s surge in recent form. 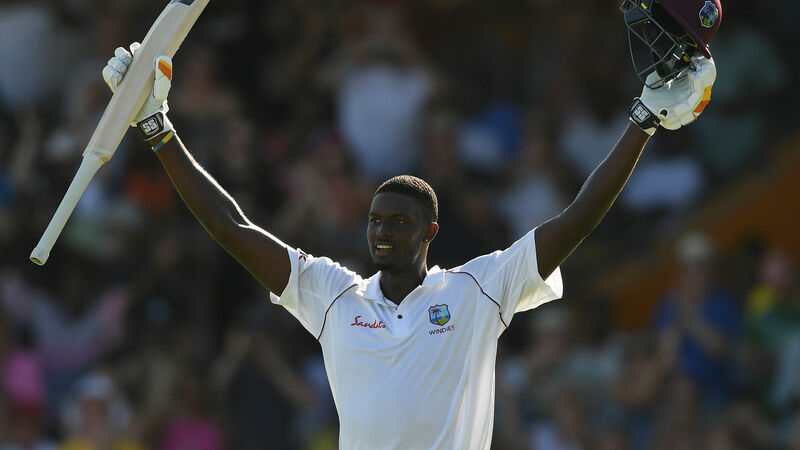 The current West Indian ODI and Test captain, Jason Holder has proved his worth recently, catapulting to the number one Test all-rounder spot thanks to a marvellous 202 not out against England, his highest test score and the third highest ever by a number eight batsman. However, Holder is a bowling all-rounder primarily, boasting an impressive average of 28.29 with the ball, with his best bowling of 6/59 coming against Bangladesh last year, showing his all-round ability. New Zealand’s finest batsman slots into our list as the most elite 28-year-old in the game, currently sitting in second place in the ICC’s Test batting rankings. Since scoring a century on his Test debut at just 20, Williamson has been one of the first named for New Zealand in all formats of the game, having scored 30 international centuries in his time representing his country. He will likely retire as New Zealand’s greatest batsman, having reached 5,000 runs in both Test and ODI cricket, making him a worthy addition to our list. For our best 29-year-old, Steve Smith beats out New Zealand pacer Trent Boult off the back of his exceptional record, having earnt the honour of being the best Test batsman in the world in 2015, 2016 and 2017 according to the ICC rankings. 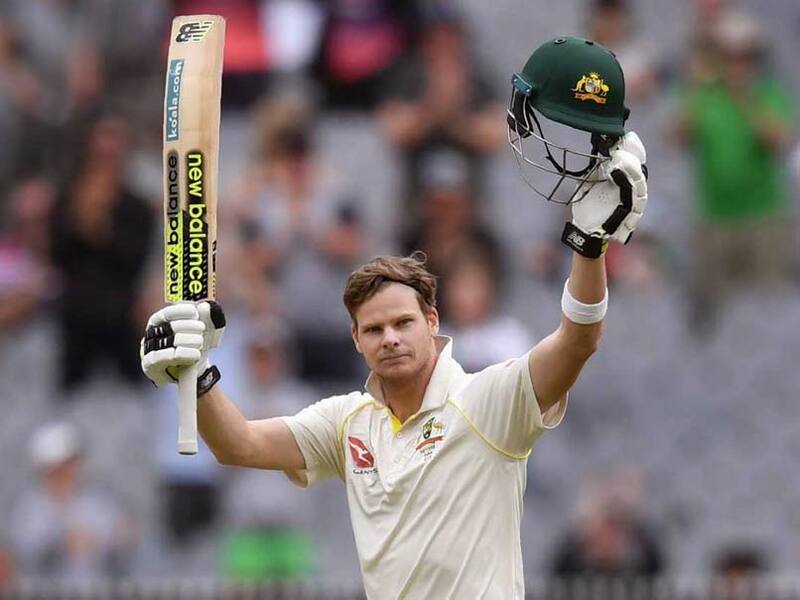 Since first entering the Australian team as a spin-bowler, Smith’s career as a batsman has flourished, becoming the third fastest man to reach 5000 runs at just 27 years of age. His Test batting average of 61.37 is the third highest of all-time, making his selection as the most elite 29-year-old in world cricket a no-brainer. Another seemingly undisputed selection is for our best 30-year-old, which clearly falls to the King himself, Virat Kohli. One of the most popular and celebrated cricketers in the game right now, the current number one batsman in Test and ODI cricket has 64 International centuries to his name, with an average of 49 or better in all three formats of the game, proving his greatness as a batsman. At just 30, he’s already achieved nearly everything the sport has to offer, winning the World Cup in 2011 and leading India to their first test series victory in Australia in 2019. Kohli looks set to create a lasting legacy as one of the greatest cricketers of all-time. India’s prolific runscorer comes out ahead of Nathan Lyon as the best 31-year-old performer in World cricket, after his recent performances with the bat in the Test series against Australia saw him launch up to number three on the ICC’s world rankings. With a dogged and persistent mindset at the crease that has lead to Rahul Dravid comparisons, Pujara is a run-scoring machine, having scored 5426 Test runs at an average of 51.19. Recognised as a Test specialist for India, Pujara is easily one of the best batsmen in the world, making him a suitable selection as our most elite 31-year-old. The second of Australia’s suspended trio to make our list, the polarising and explosive David Warner is our best 32-year-old. Although Warner’s character has come under scrutiny recently, his results in International cricket are exceptional since bursting onto the scene as a T20 specialist in 2009. Known for his fast-scoring and aggressive batting, Warner has scored over 5000 runs in both Test and ODI cricket with 35 centuries to his name. In 2016, he became just the third player to score seven ODI centuries in a calendar year and was the first Australian to reach 1500 T20I runs. Warner has the ability to take control of a game from the start of an innings, which is why he comes out ahead of fellow 32-year-olds Stuart Broad and Neil Wagner. The current number four test bowler in the world, South African pacer Vernon Philander has endured an impressive test career. His test career began in whirlwind fashion in 2011, becoming the second-fastest player ever to 50 test wickets. Since then, Philander has continued to impress for his country as both a bowler and a batsman, averaging 24.45 with the ball and an amazing 21.73 with the ball. While not the fastest bowler in the game, Philander is still one of the most dangerous bowlers in world cricket and a deserving holder of a spot on our list. South Africa’s captain in all three formats of the game managed to edge out Afghanistan’s Mohammad Nabi on our list as the best 34-year-old in world cricket. 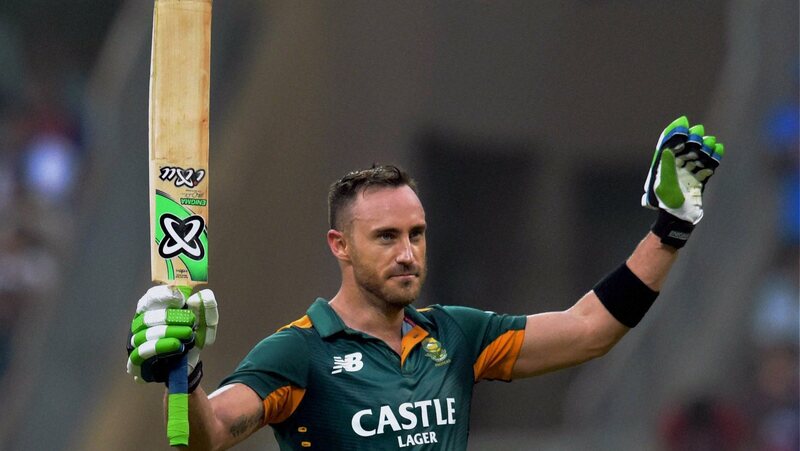 Du Plessis burst onto the International scene with his Test debut in 2012, scoring 188 runs and earning himself the man-of-the-match award against Australia, becoming the fourth South African to score a century on debut in a Test match. Since then, he has proven himself as a fine leader and crafter of an innings for South Africa, scoring 19 international centuries and averaging over 40 in both Test and ODI cricket. One of the greatest fast bowlers of all-time with 433 Test wickets, Dale Steyn has been a consistent wicket-taker for South Africa since making his debut in 2004. With a fierce, competitive attitude, the South African has the best bowling strike-rate of all-time at 42.1 (for bowlers who have bowled at least 10,000 deliveries) and has taken the most Test wickets by any South African ever. Not only does Steyn bowl quick, but he also can swing the ball, proving to be an exceptionally enigmatic and elusive bowler. Steyn narrowly came out ahead of fellow countryman Hashim Amla, who has also had an impressive International career. 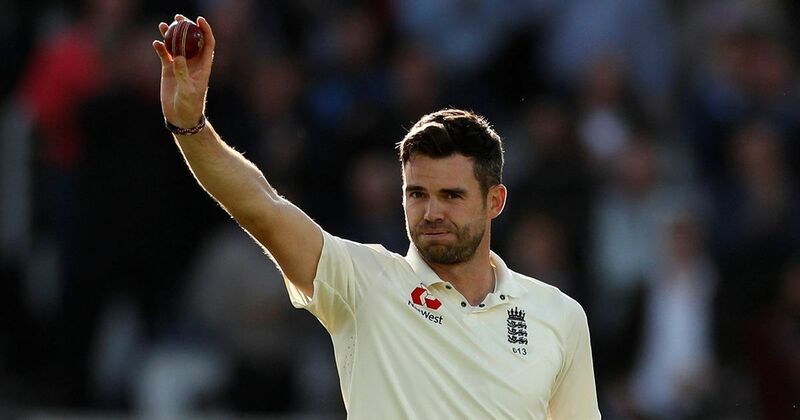 Still going strong at 36 years old is legendary English paceman James Anderson, who has played 147 test matches since debuting in 2003 and undoubtedly will go down as one of history’s best bowlers. With 572 wickets, Anderson has taken the most Test wickets by a fast bowler ever, with 103 of those coming at Lords, having taken six five-wicket hauls at the ground. Even at 36, Anderson still sits on the ICC Test Rankings as the third best bowler in the world, showing his brilliance even as he enters the final years of his Test career. Indian wicket-keeping legend MS Dhoni rounds out our list as the best 37-year-old in world cricket, Having already retired from Test cricket, Dhoni is still a key member of the Indian ODI team, leading India to victory in their recent series against Australia with match-winning knocks of 87* and 55. Dhoni’s legacy in Cricket folklore, however, is already solidified, leading India to victory as captain at both the 2007 World T20 and the 2011 Cricket World Cup. Averaging 50.8 in ODI cricket, Dhoni is one of India’s most cherished cricketers and is a worthy induction to our list.